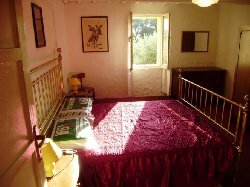 VILLAS AND APARTMENTS TO RENT IN EMILIA ROMAGNA, ITALY. Welcome to our selection of holiday homes to rent in Emilia Romagna, Italy. Emilio Romagna is the name of an administrative region in the north of Italy, which spreads from west to east across the country and is home to the cities of Bologna, Modena and Parma. As well as being a cultural centre, the region is also the base for many of the Italian supercar manufacturers, like Ferrari and Lamborghini and also has plenty of seaside resorts to visitors to enjoy. Bologna has a well-preserved medieval quarter, including the remains of the 180 towers that formed a defensive ring around the city. Twenty examples are still standing, including �The Two Towers�, a leaning pair that was built close together. The old town is still pedestrianised and perfect for spending an hour or so wandering around and enjoying the different styles of architecture. Parma is not only home to the famous Parma ham, which should be sampled while you�re in the town, but also houses many Renaissance buildings and a large museum dedicated to the city�s artists and sculptors. The pretty old town of Modena is worth a visit, not just for the impressive cathedral and Ducal palace, but also for the town�s automobile history. Ferrari, Lamborghini, Maserati and Bugatti were all founded within a few miles of Modena. Ferrari even named one of its cars, the 360 Modena, after the town. The Adriatic Coast on the east side of Emilio Romagna is home to a number of holiday resorts that are popular with Italians as well as visitors from all over Europe. One of the main ones is Rimini, which has been a favourite holiday destination since the 19th century. Now many of the beaches are private, linked to the hotels and guesthouses that line the promenade and charging for the rental of sun loungers and umbrellas. There are still some small stretches of public sand, but these get very busy in the summer. Rimini also has a pretty old town, if you fancy a break from the beach, including the remains of a Roman amphitheatre and a bridge that is still used by traffic today. A popular day trip from Rimini is to the mountaintop republic of San Marino. Buses run daily from the town into the fortress, which is only 61 square kilometres in size, so easy to explore thoroughly in just one day. The highlight of any visit is the three towers that are strung along the top of the hills, each one higher than the last. It�s not an easy climb, but you are rewarded with a great view at the top, which can stretch right to the sea on clear days. Looking for self catering holiday accommodation in Emilia Romagna? Then below is a selection of Apartments in Emilia Romagna and villas in Emilia Romagna that can be rented direct from their owners. You can either click on each listing for further details or you can use our search engine on the left if you are looking for something in particular.